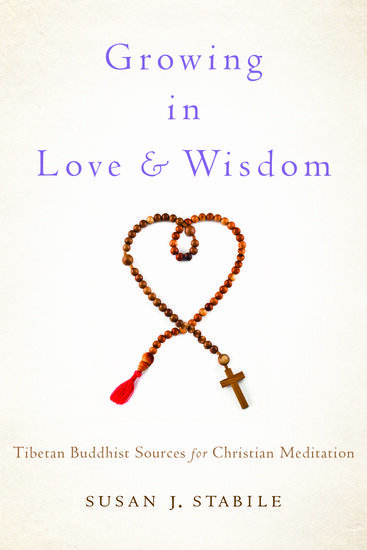 Susan J. Stabile is the author of Growing in Love and Wisdom: Tibetan Buddhist Sources for Christian Mediation, just published by Oxford University Press. A spiritual director and retreat leader, she is also the Robert and Marion Short Distinguished Chair in Law at the University of St. Thomas School of Law. 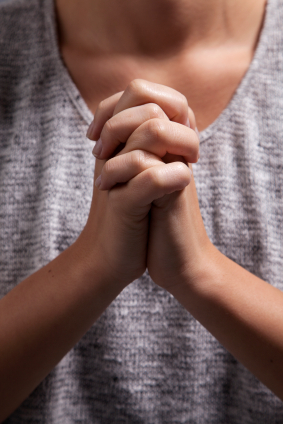 Image credit: A yound woman clasps her hands in prayer. Photo by justinkendra, iStockphoto. I am so glad that you came back to the Church. So often it is because children were not taught the fullness of the faith that they seek truth outside of Jesus, the Truth. Make sure that the Buddhest practices of meditation you are promoting are in line with the teachings of the Catholic Church. See the Catechism of the Catholic Church (2705,843) , The Splendor of Truth (by Pope John Paul II) and other sources. I am a buddhist and the prayer I pray every day is ‘The Prayer of St. Francis’. I find that meditating on even just the first line (Lord, make me an instrument of your Peace…) is beneficial — especially when I am feeling a bit frazzled or impatient. Blessings to you, Susan, and best of luck on your Journey. I really enjoyed this article immensely! I’m catholic but love a lot of the Buddhist practices! I think that we can learn something from every religion! Meditation is just a technique to control breathing in order to calm your mind. It doesn’t belong to any religion. I agree with Vanessa in that meditation doesn’t belong to any one religion. It is just a way for us to relax our minds so they can recuperate. Although there is a lot of spirituality attached to meditation there doesn’t actually need to be involved. I often meditate for myself and not to get in touch with any particular God or spiritual being.